Live Line is a hands-on fishing experience; we specialize in deep water jigging for all species, Gulfstream trolling for blue water species and live bait techniques. We can accommodate the novice angler to the experienced angler including Lady and Junior anglers. We supply all tackle, ice and supplies. 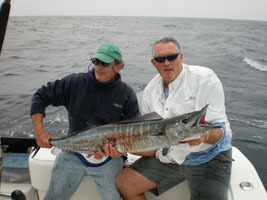 All fish cleaning provided and NC Saltwater Fishing License is included the Charter. Just bring a ready to fish attitude.